Polycarbonate has many special characteristics that other engineering plastics don’t contain, due to the flexible carbonate group and the rigid benzene ring in its molecular structure. Therefore it’s widely used. Due to the specialty in its structure, PC has a range of unique advantages such as excellent light transmittance, relatively high glass transition temperature, desirable chemical modification, easy for physical modification, excellent impact toughness, creep resistance, electrical insulation and wheathering resistance. 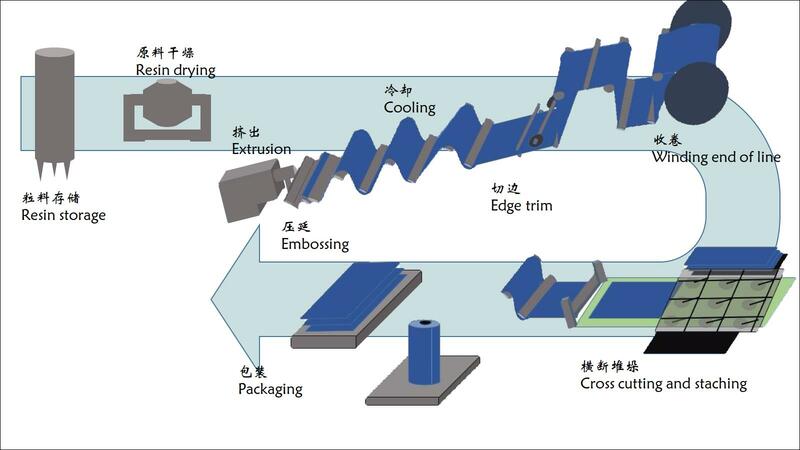 OMAY currently has 5 world’s cutting-edge PC films and sheets production lines, 2 raw material modification lines, 1 testing line, besides OMAY has several experienced manufactoring engineer, all products are produced in million-grade purification plants. Products’ thickness range from 0.035-6.0mm, width from 915-1530mm, with over a 100 produt types such as general grade, flame retardant grade, colour grade, widely used in areas such as high-speed rail way and aviation, flat panel display and LED lightings etc.